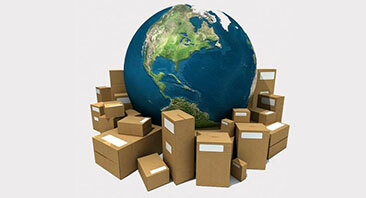 Pick Ups Online International offers an Express Courier door-to-door service for small to medium consignments worldwide. You can send to most destinations around the globe. Documents may be shipped as non declaration items but must be accompanied by a copy their original invoice. In the event that there is not a copy of the original invoice a commercial invoice can be completed. There is a link to the commercial invoice (customs declaration) in the Quick Links below. For large shipments, incoming freight or sea freight contact Pick Ups Online for advise or a quote. NOTE : Documentation filled out incorrectly may result in your consignment being delayed. Please contact us for help if you are in doubt. International Courier has a cubic conversion of 200 kg per cubic metre. Please refer to our “Cube Explained” link on the HOME page if you require further information on cubing.